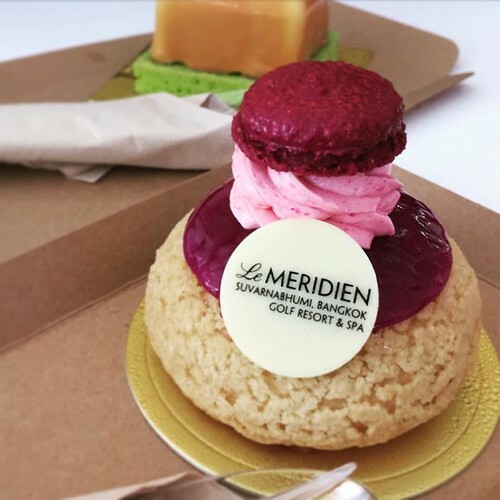 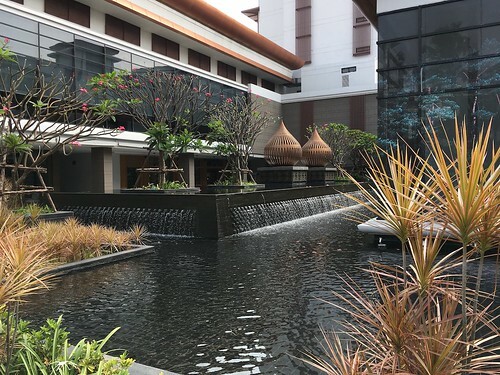 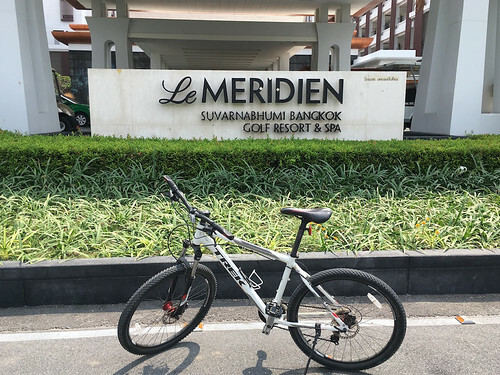 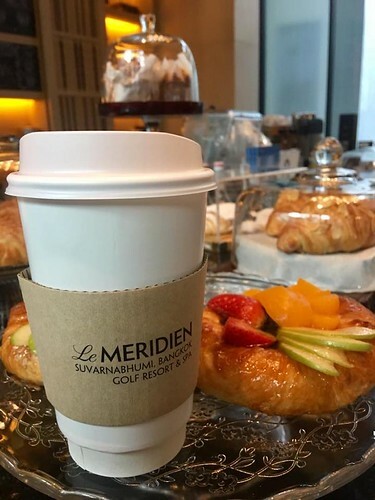 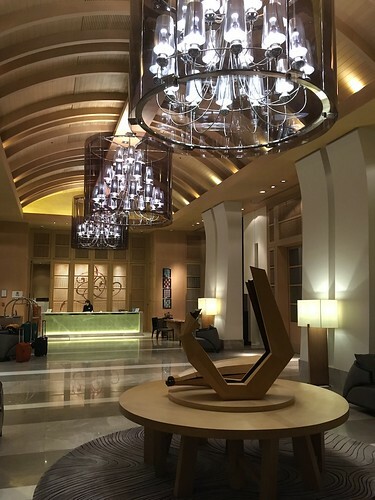 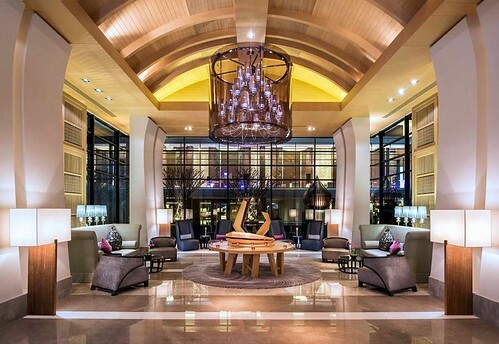 Le Méridien Suvarnabhumi, Bangkok Golf Resort & Spa is a 5-star hotel located in a luxurious residential area, surrounded by a 18-hole golf course and between Suvarnabhumi International Airport (at about 20 minutes drive depending of Kingkeaw Road traffic) and Bangkok’s city center. 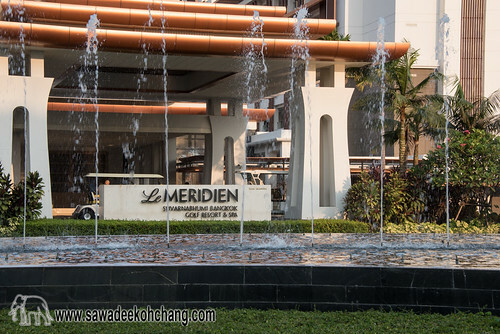 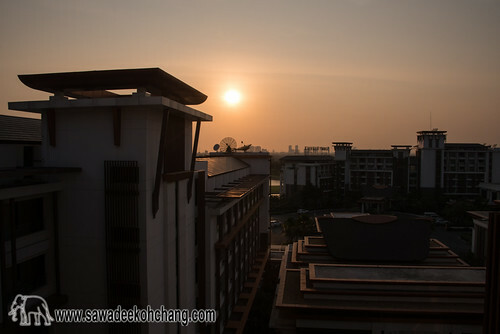 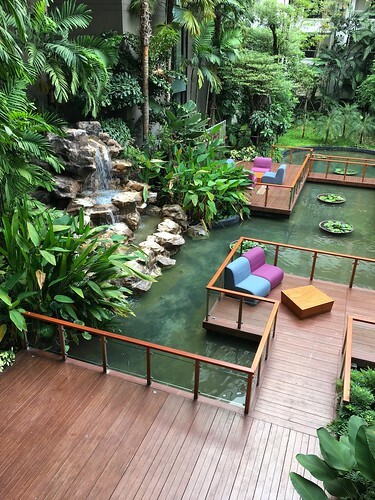 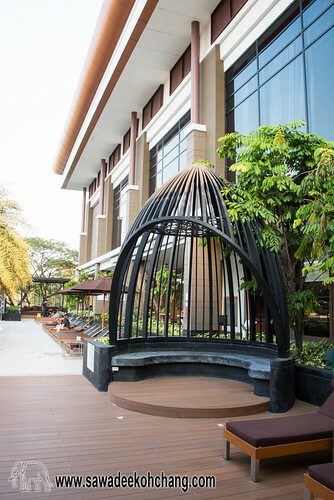 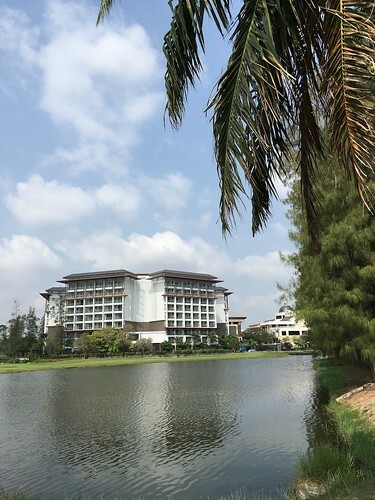 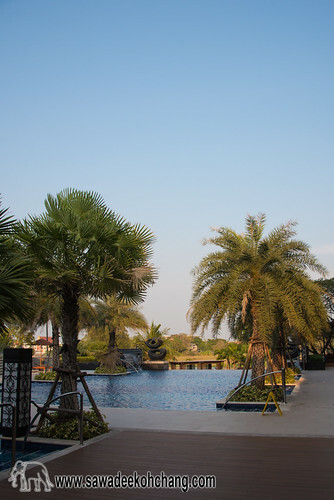 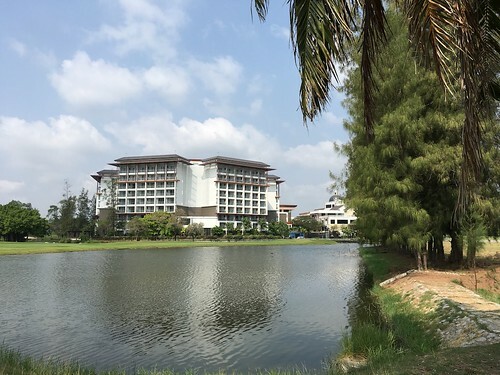 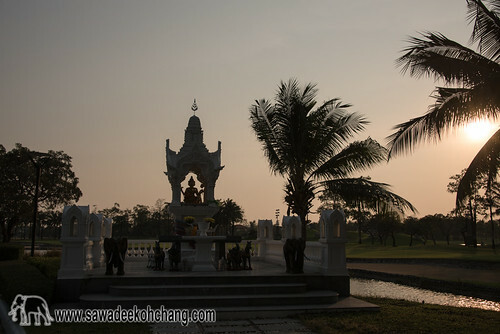 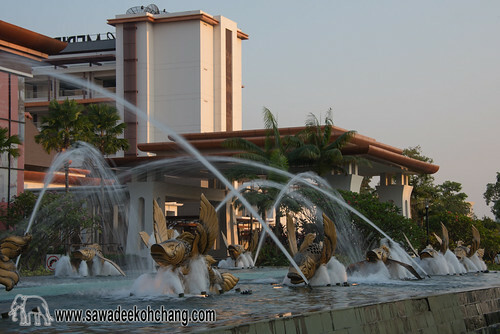 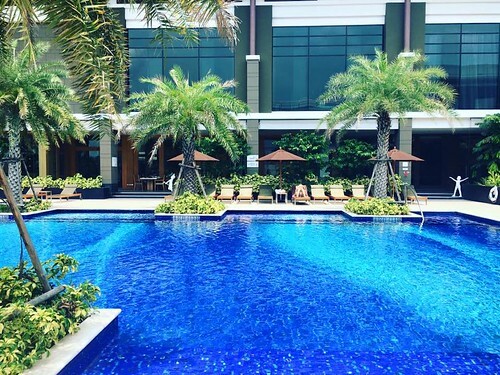 The resort has a 24-hour airport shuttle service available for all guests, about every hour and another free shuttle to Mega Bangna, a large shopping mall, and to BTS Skytrain - Udomsuk Station. 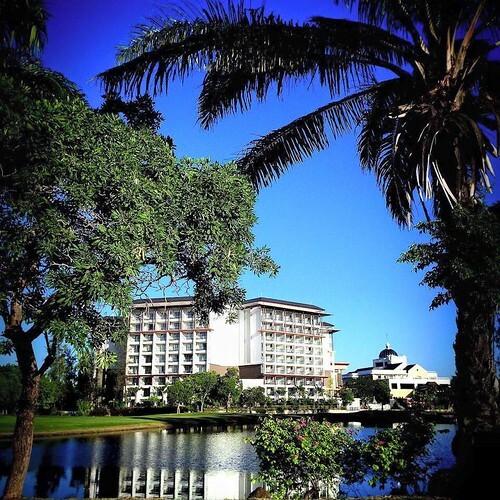 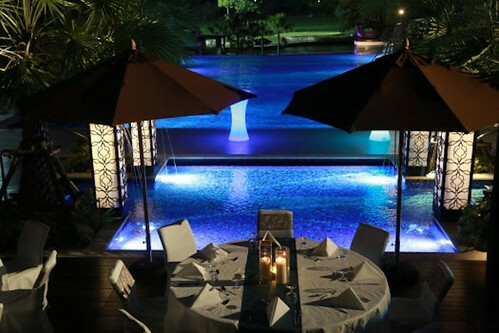 There are 223 rooms and suites in this hotel, all featuring contemporary furnishings and a large private balcony with sun lounger for two overlooking the green golf course. 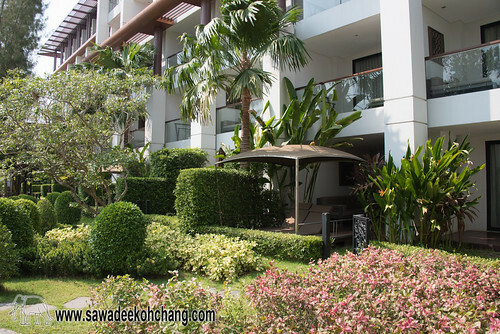 They all have a 40'' LCD TV (bigger for the suites), an iron with ironing board, a safety box, a/c with individual controller, a hairdryer, a sofa, a working desk with a chair, a minibar and a separate bathroom with bathtub and shower. 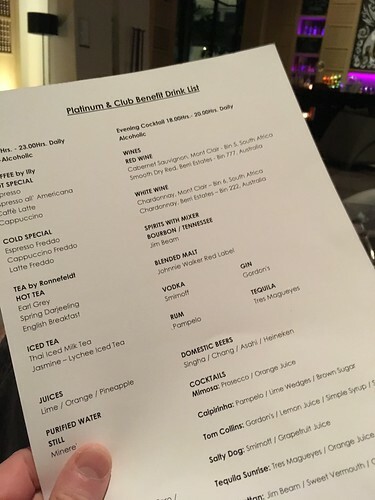 They also all offer a 24-hour room service. 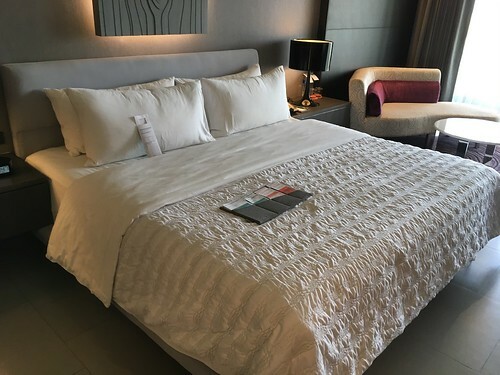 Depending of the rooms, some have one King-size bed and others 2 Queen-size beds. 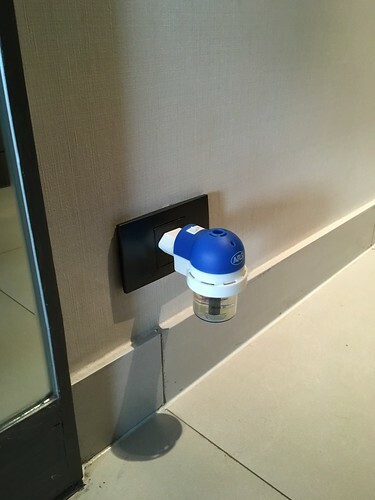 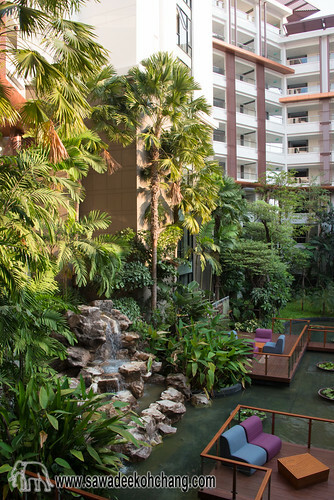 There is free Wi-Fi in all public areas and all rooms and suites except for the Grande Deluxe and Grande Deluxe Garden Access rooms where it's charged per day as an extra. 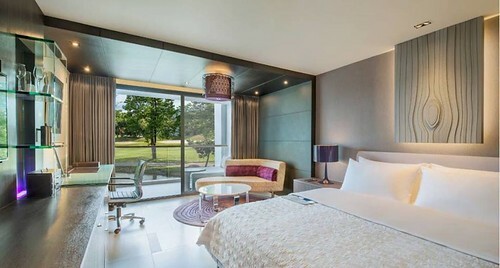 - Grande Deluxe rooms have an elegant and contemporary chic design. 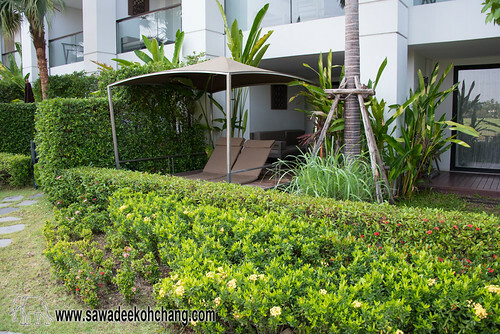 - Grande Deluxe Garden Access rooms are located on the ground floor and have a private patio and seating arrangement with garden access. 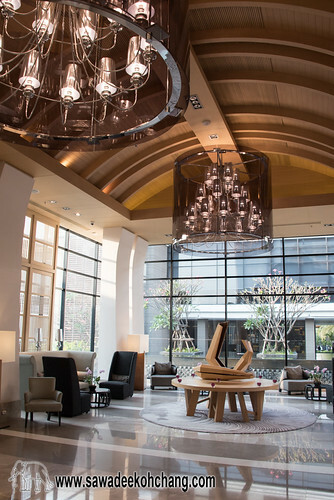 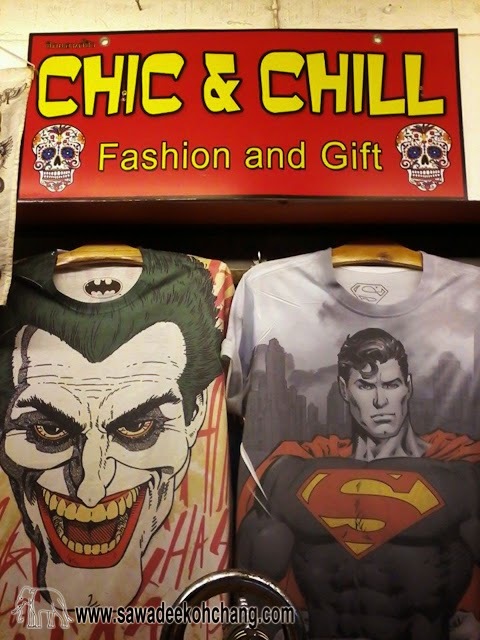 They also feature an elegant and contemporary chic design. 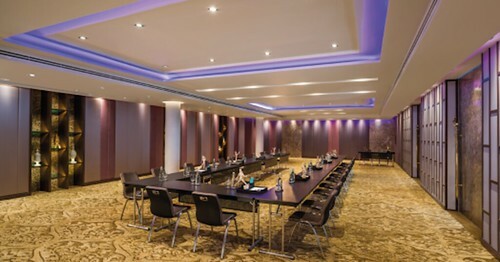 - Grande Club rooms are located on higher floors. 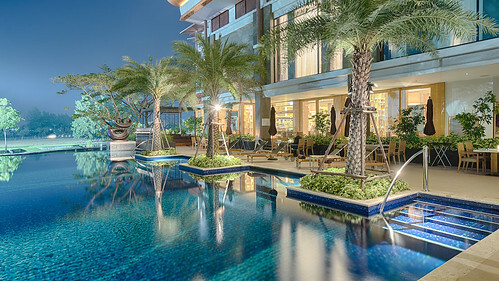 Guests also receive special Club benefits including complimentary evening cocktails and hors d’oeuvres at the Latitude 13°39' bar, free Wi-Fi and washing or pressing of 2 garments. 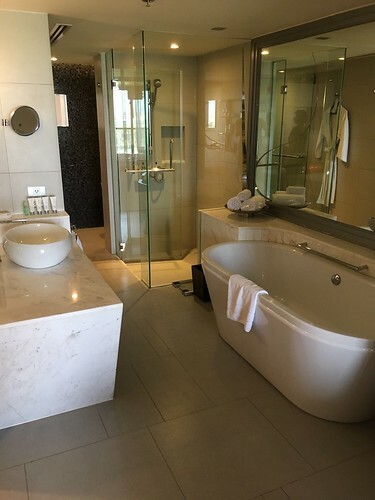 In the bathroom there is a bathtub, a separate shower and a separate toilet. 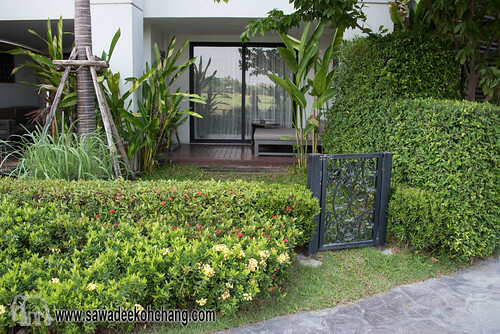 The safety box in these rooms is big enough for a laptop and there is even mosquito repellents. 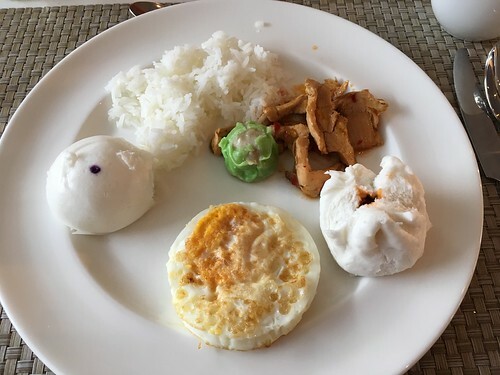 The breakfast is included to the price of the room. 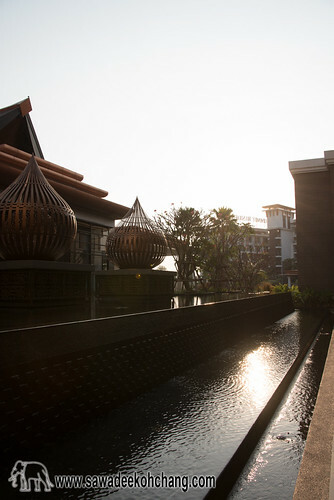 - Grande Suites provide pure luxury. 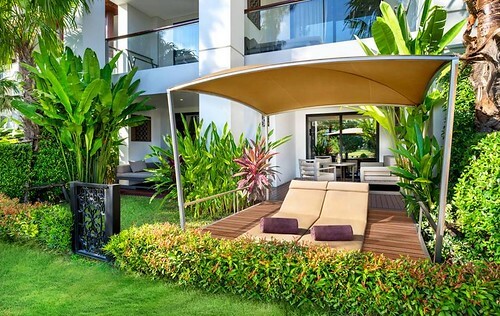 They have a spacious bedroom and an elegant separate living room. 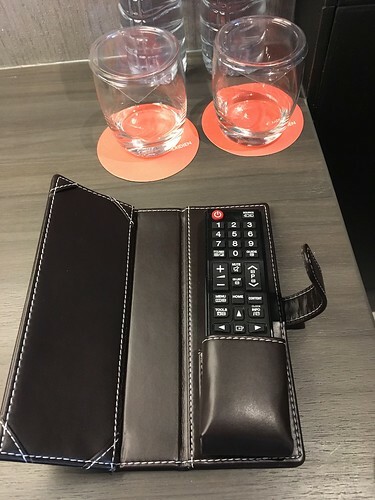 They also provide the latest technology with a smart connectivity panel, a smart 48" LCD TV and an innovative sound system with Bluetooth connectivity. 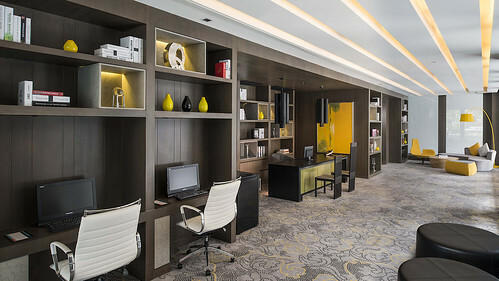 On top of that the suites offer an oversized bathroom with circular bathtub and separate shower, upgraded in room-amenities, chic dining table, a convenient workspace including an ergonomic chair with work desk and with free WiFi access. 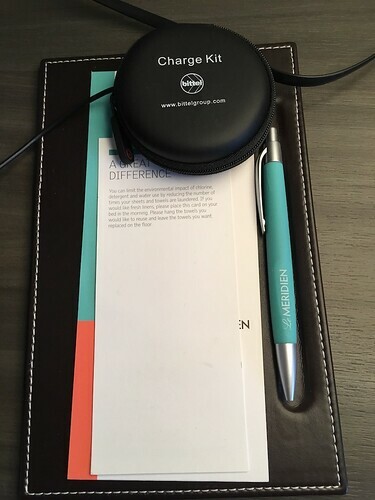 The safety box in the suites is big enough for a laptop. 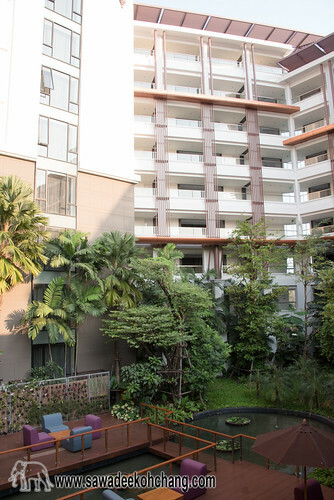 - Grande Suites Garden Access provide the same features than the Grande Suites except they have a private patio and seating arrangement on the ground floor with garden access. 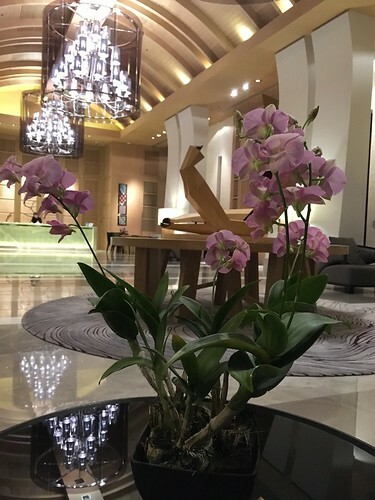 - The Presidential Suite is located on the top floor and as you can imagine it's the biggest and more luxurious suite of the hotel. 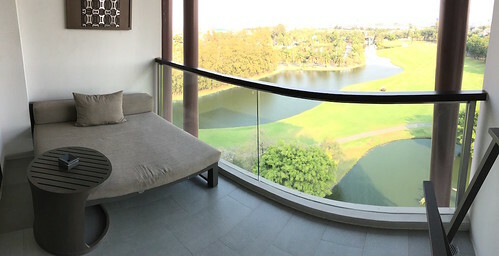 There are two private balconies - one with a dining table for four - with a panoramic view on the golf course. 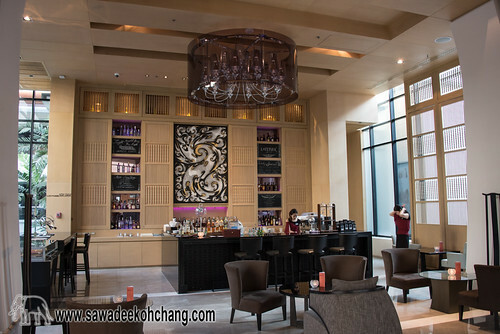 An expansive, richly decorated living area is accented with engraved columns, lush purple chairs, and a modern chandelier. 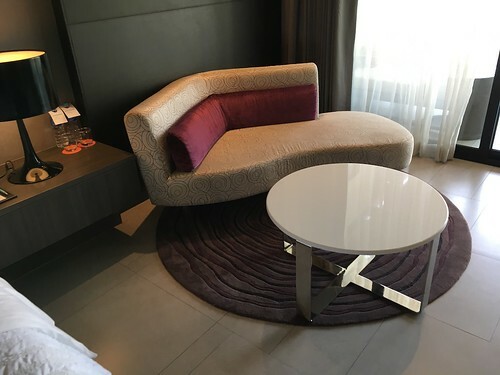 Two large sofas offer a relaxing spot to enjoy programs on the a 48-inch LCD Smart TV or Blu-Ray player, set into a built-in entertainment centre. 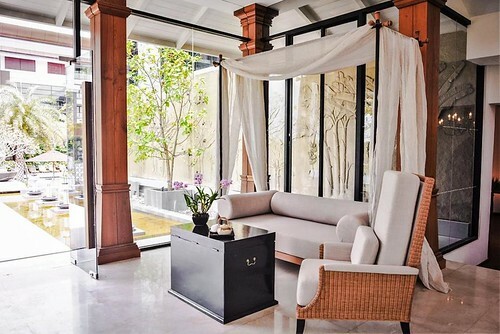 Designed for entertaining, the living area has a dining table for 8 persons plus an adjacent pantry with a microwave. 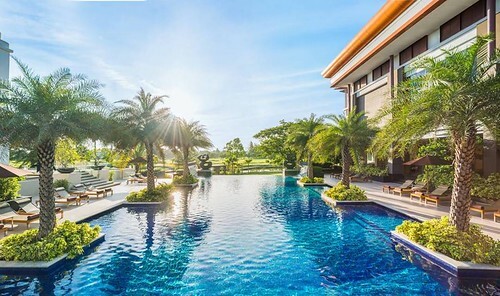 -The Infinity Pool is a relaxing area between the Latest Recipe restaurant and the Explore SPA with a view to the golf course. 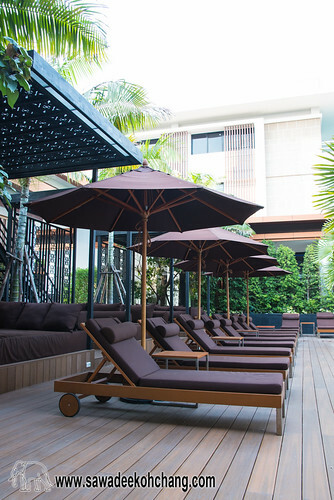 The spacious wooden deck is furnished with lounge chairs and open-air cabanas, and surrounding palm trees. 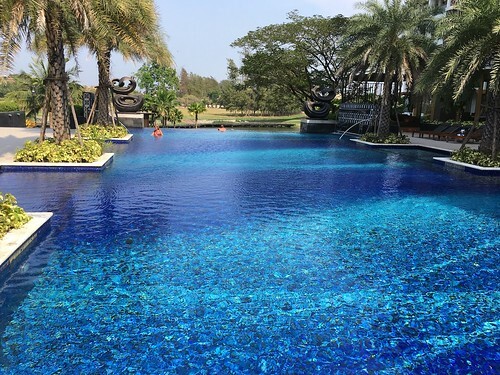 The adjacent paddle pool is perfect for kids. 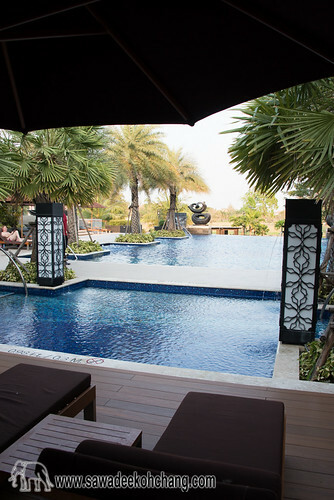 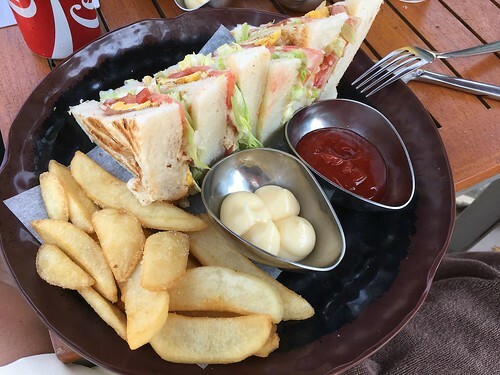 You can order snacks and drinks from Latest Recipe restaurant which is adjacent to the pool area. 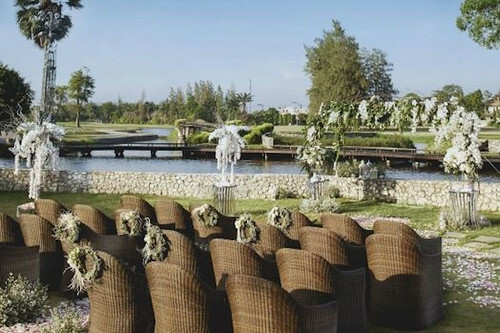 Free towels are provided to the guests. 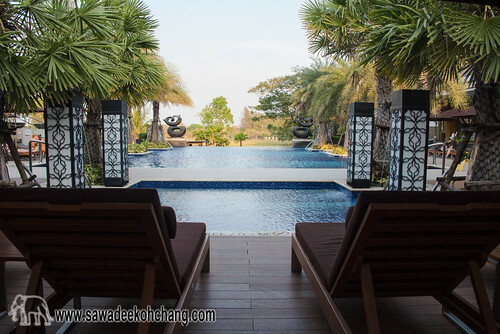 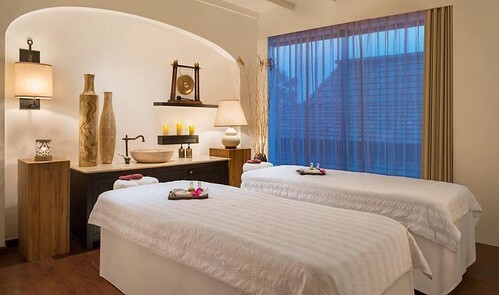 The Explore SPA is located nearby the Infinity Pool and offers exotic sophisticated spa services and treatments all in a luxuriously environment. 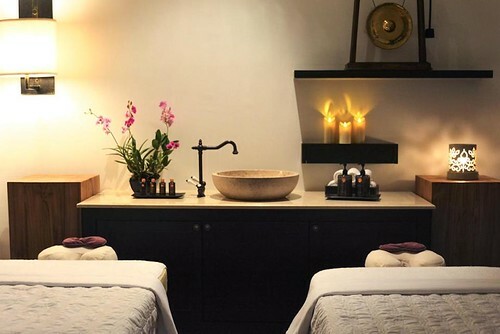 They propose a luxurious selection of body treatments and massages, body scrubs, refreshing therapeutic facials and a choice of detoxifying spa packages. 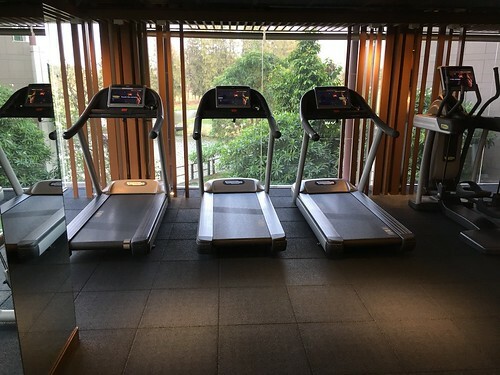 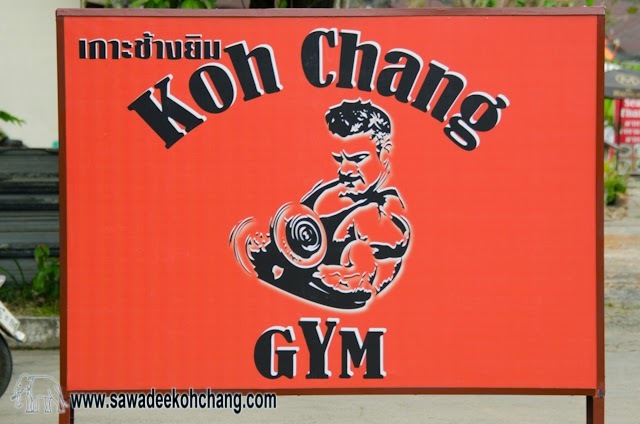 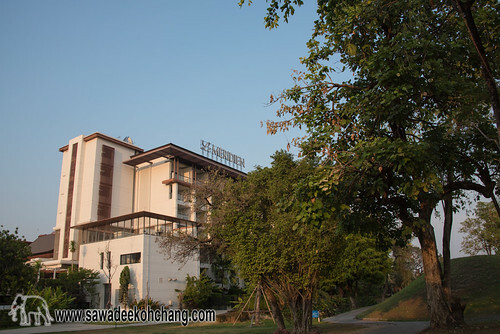 All the hotel guests have a free access to the Fitness Centre which is opened 24 hours a day with few strength machines (adjustable bench, leg extension, abdominal crunch, lat pulldown and chest press), dumbbells, gym balls, yoga mats, foam rollers and modern cardio equipment with individual TVs (treadmills, bikes and elliptical-trainers). 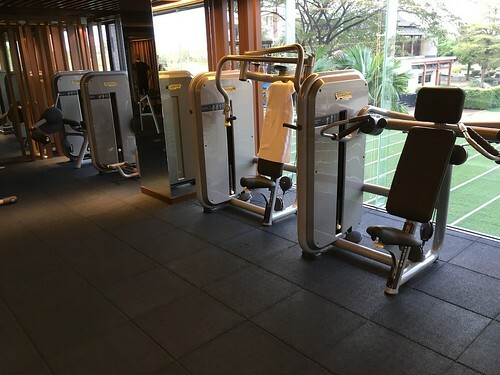 There are men's and women's locker rooms, free fresh bottles of mineral water and small clean towels available. 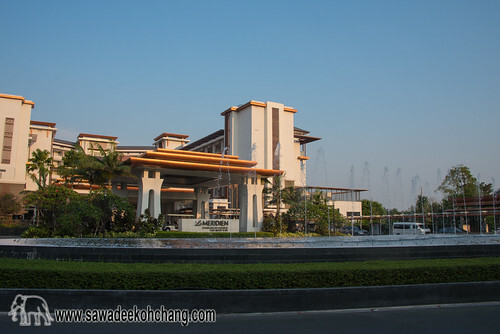 There is a Business Centre which is opened 24 hours a day, offering office services, computers with Internet Access, a host of complimentary services, from local calls, photocopying and printing to scanning, shipping, and translation. 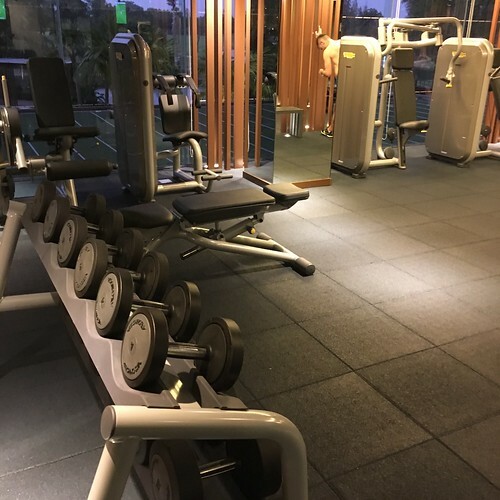 A range of equipment is available to rent, and includes laptops and desktops, LCD projectors, laser pointers, scanners, mobile phones, and chargers. 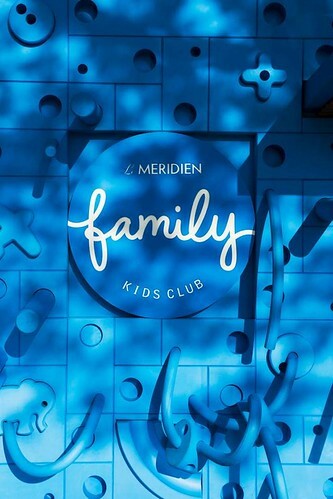 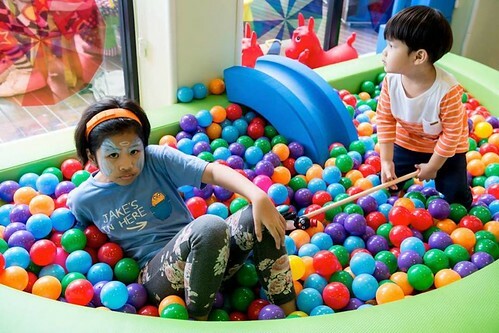 The Family Kids Club is the Kingdom of children from 4 to 12 years old. 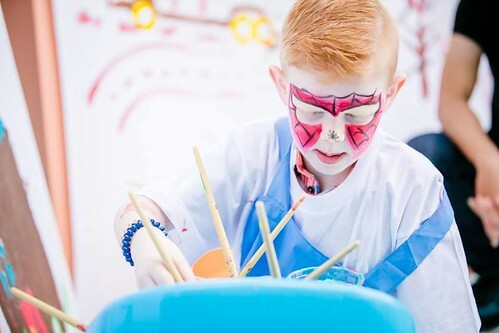 They propose a lot of activities like mask making, crayon art, paper craft, kid's soccer, movies, imagination playground with LEGO®. 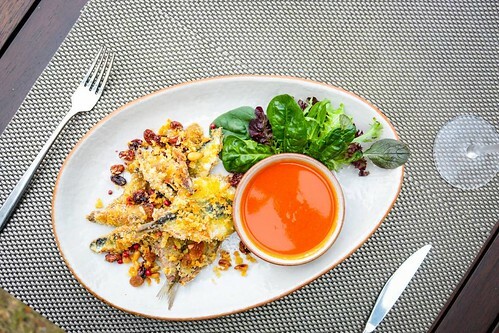 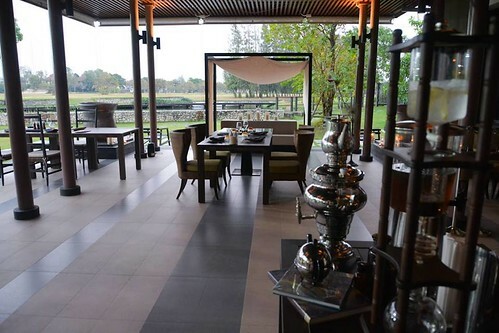 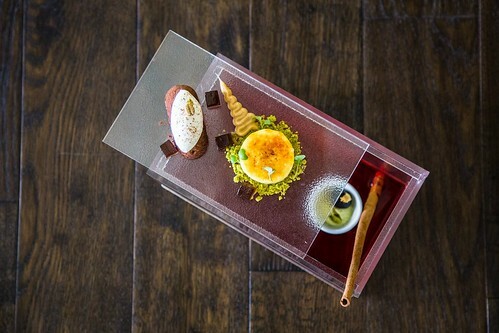 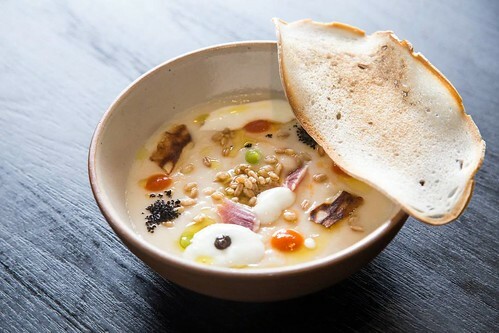 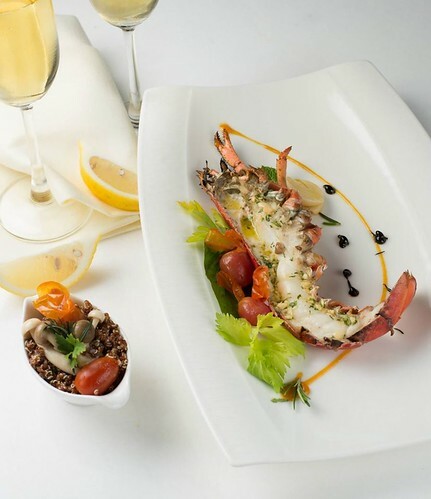 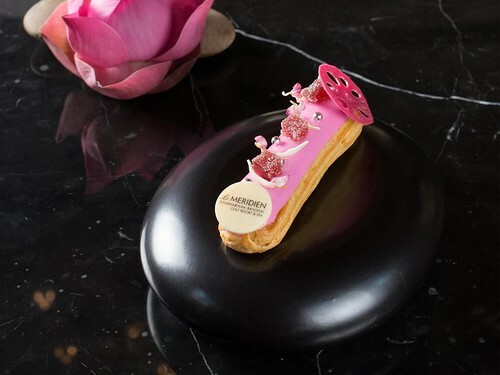 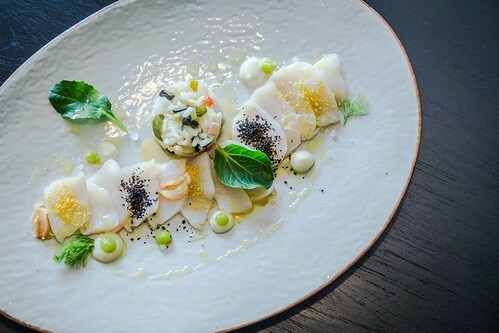 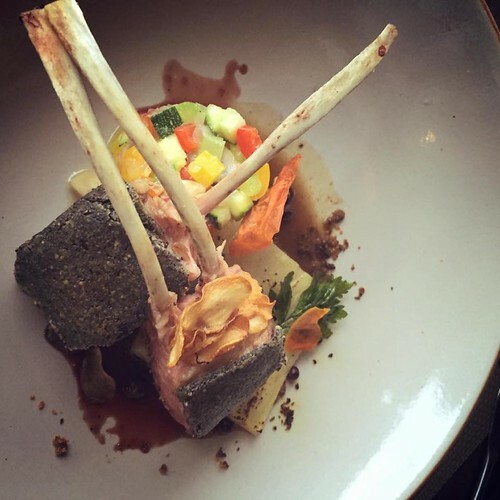 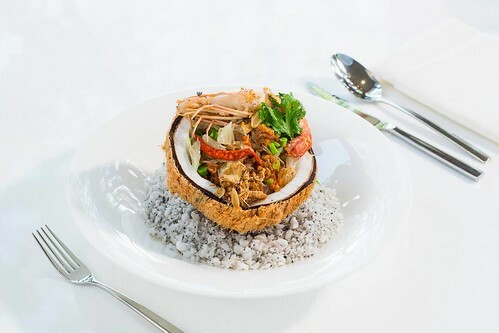 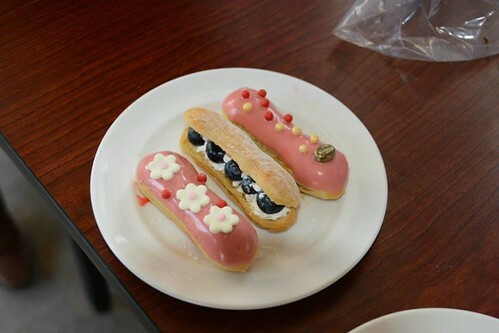 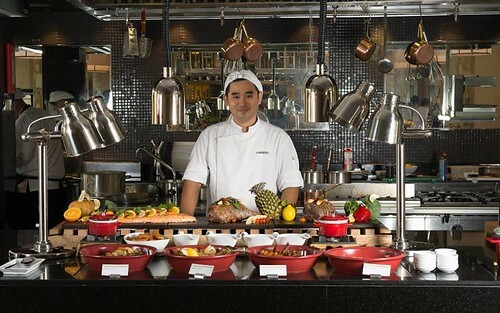 Latest Recipe restaurant is proposing Asian and European cuisines with a all day dining. 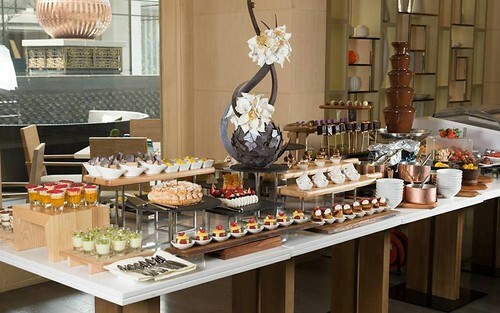 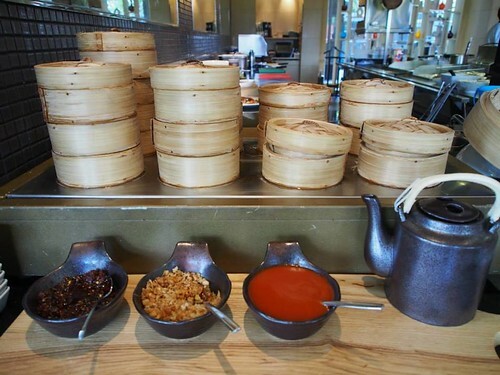 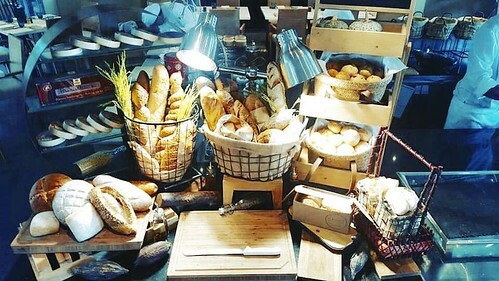 The breakfast is served in this restaurant and is made of several buffets with a wide choice of Asian and Western food. 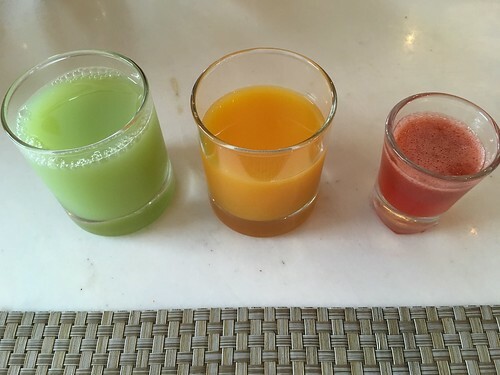 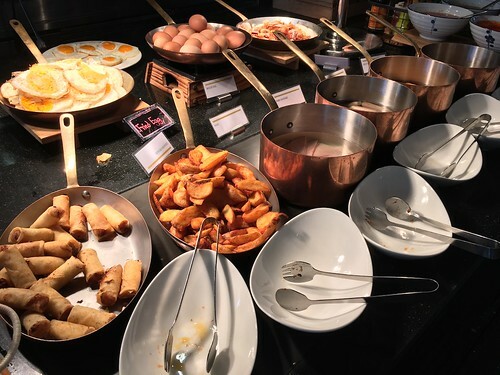 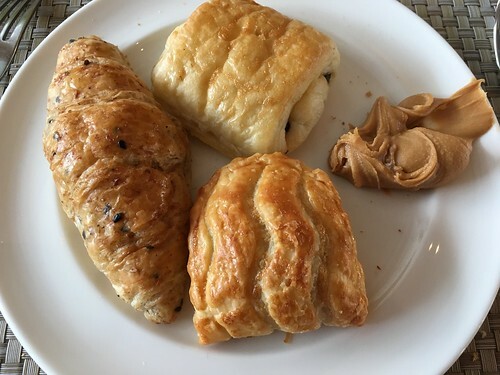 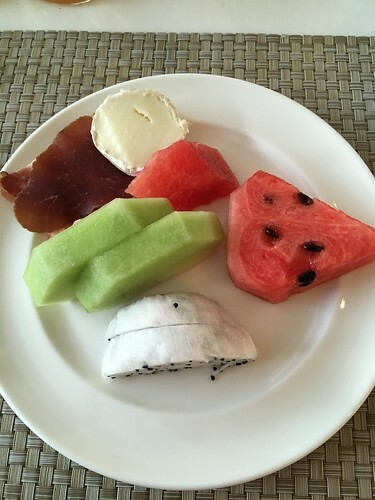 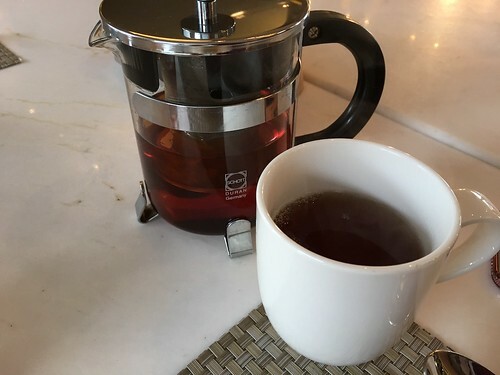 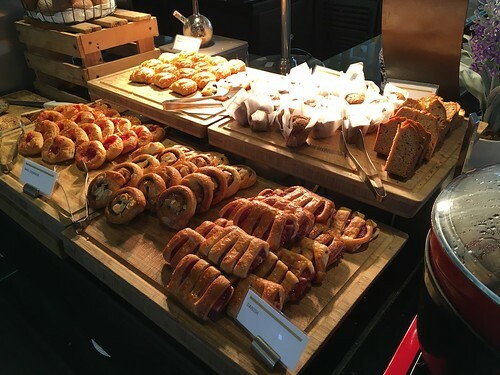 I recommend you to book a room including the breakfast like that you won't have to worry which type to order, you will have access to all of them. 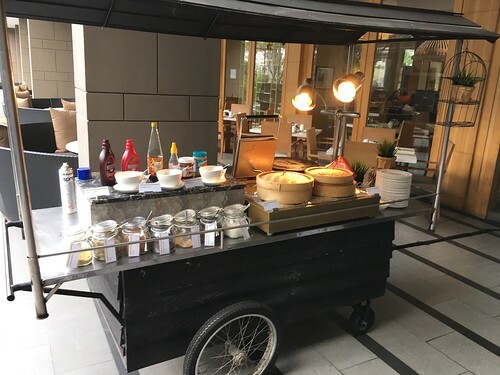 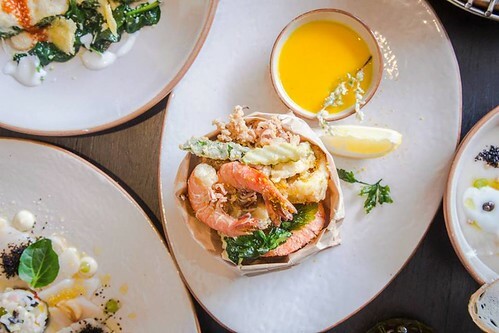 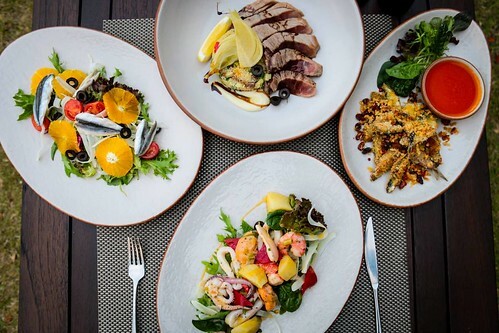 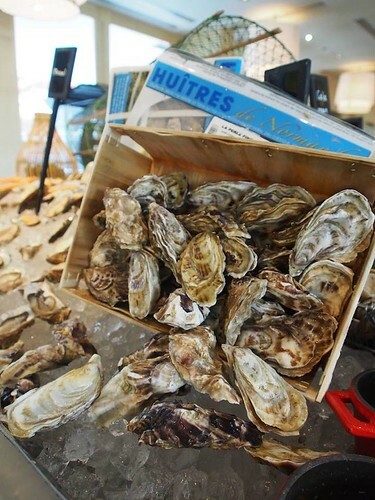 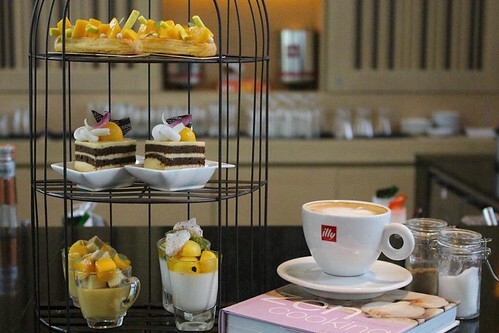 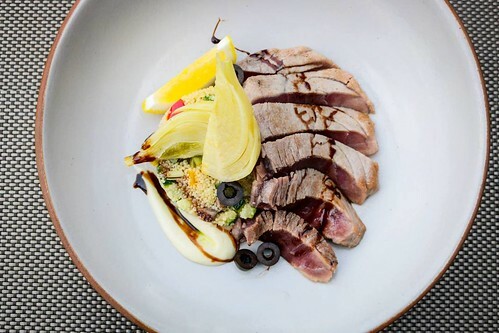 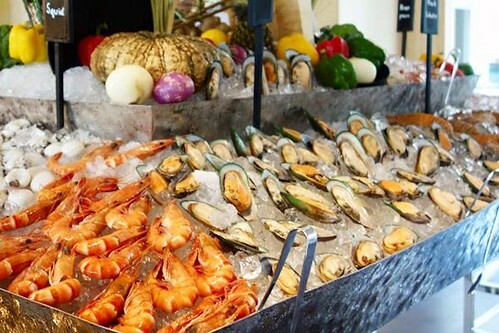 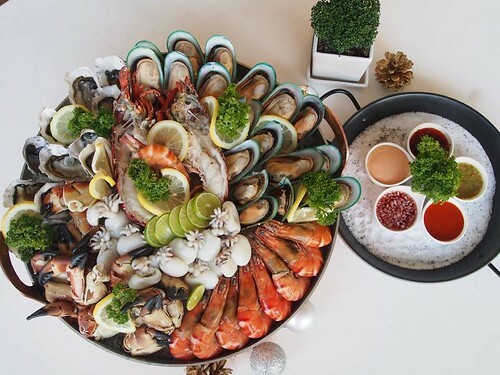 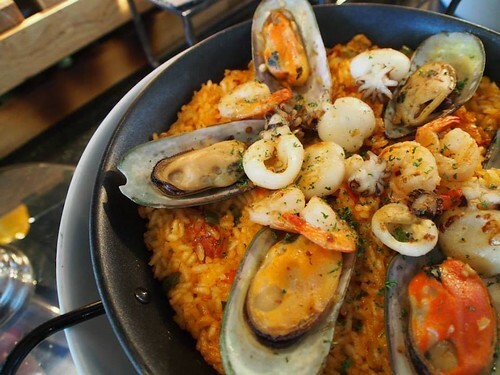 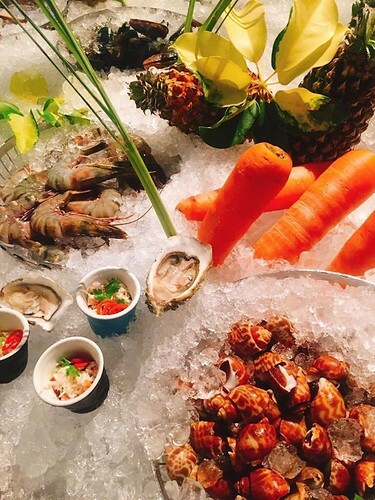 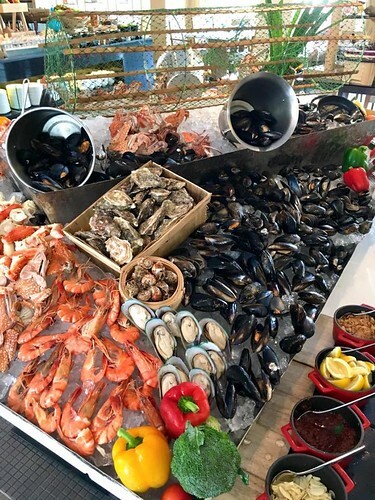 On Sundays, they propose a brunch with an amazing array of Western, Thai and Asian cuisines featuring Fine de Claire Oysters, Foie Gras, Wagyu Rib Eye, Interactive BBQ live station and many more. 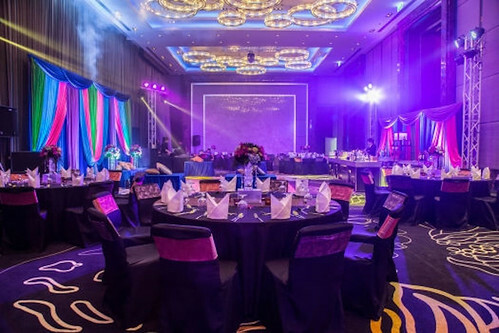 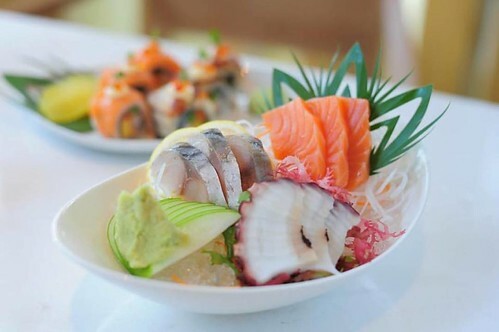 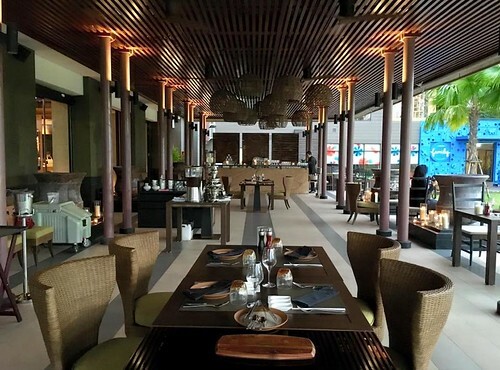 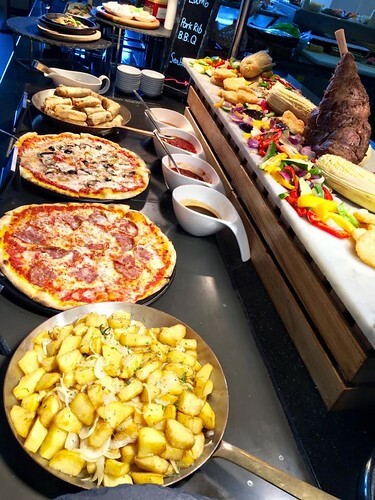 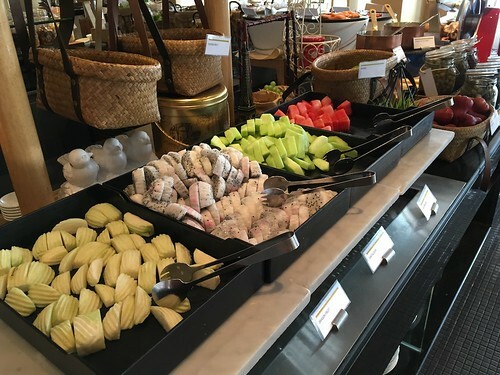 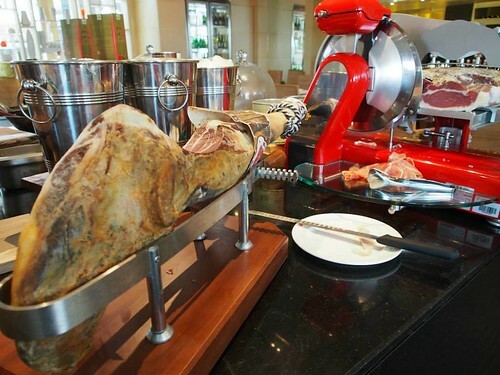 The Dinner Buffet has a wide variety of foods including cold and hot plates, assorted meats, fresh seafood, sushi, pasta, dim sum, premium BBQ and mouth-watering desserts. 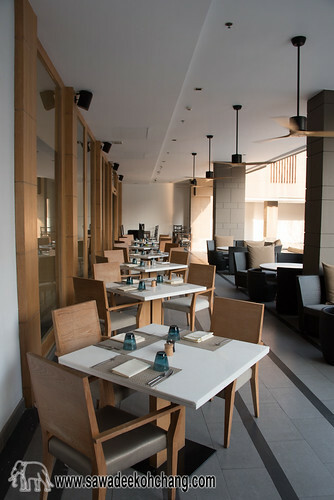 And finally, à la carte menu is available all day long featuring new and old recipes of the Eastern and Western gastronomic delights. 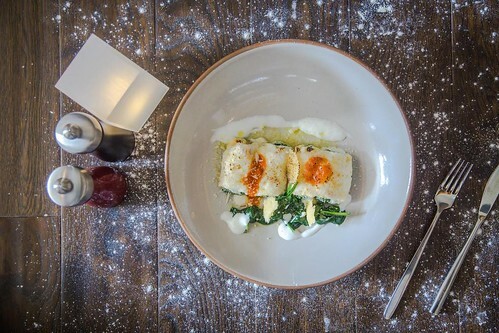 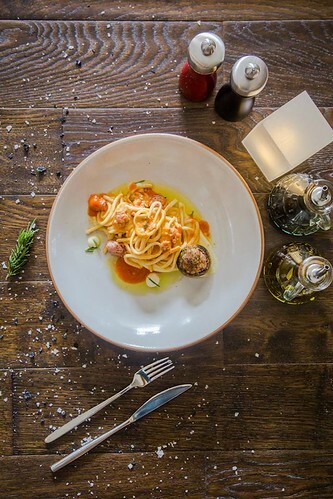 Favola is a cosy and romantic restaurant with a rustic flavour of Tuscany. 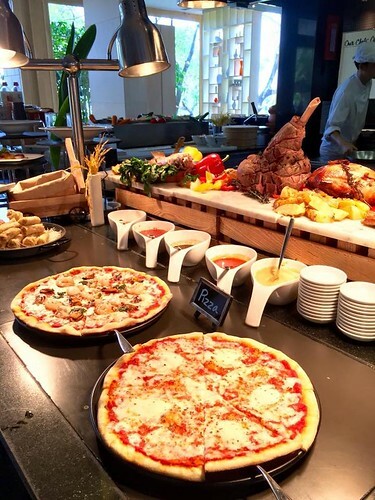 The focal point of the room is Favola’s wood-fired pizza oven, where gourmet pizzas are baked to perfection. 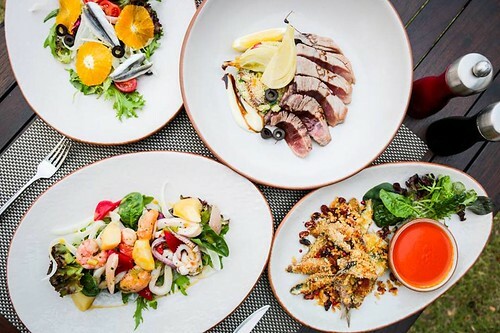 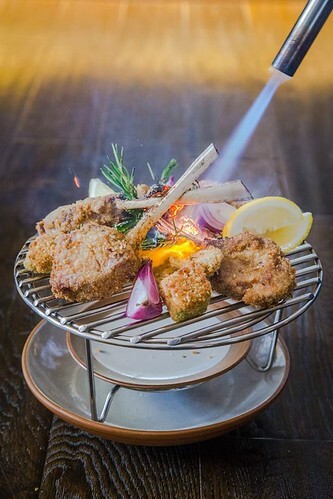 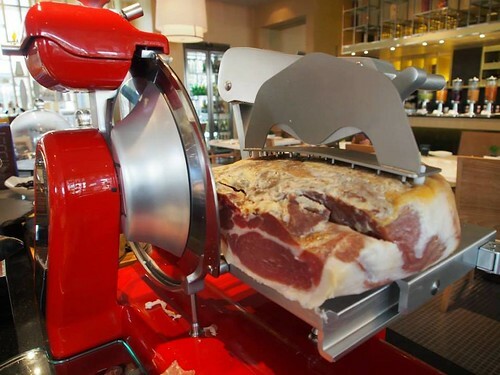 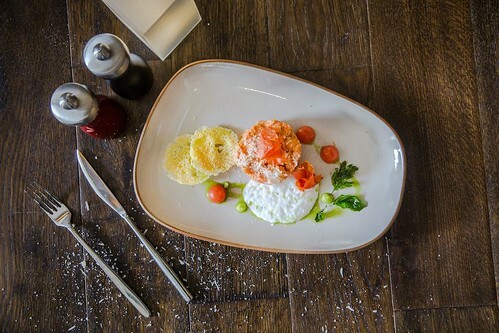 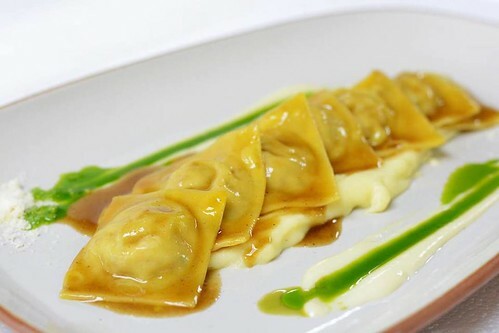 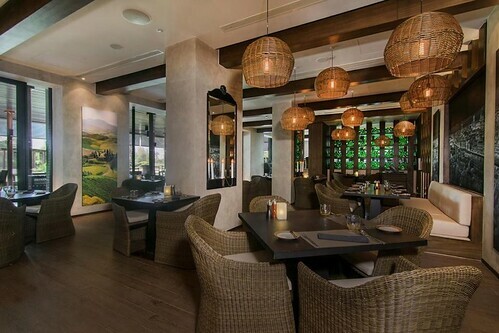 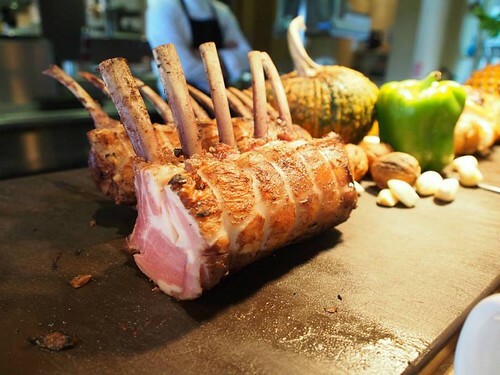 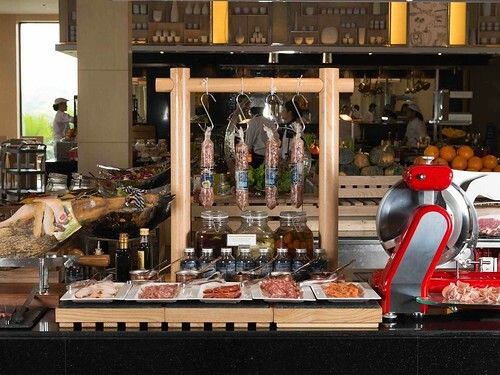 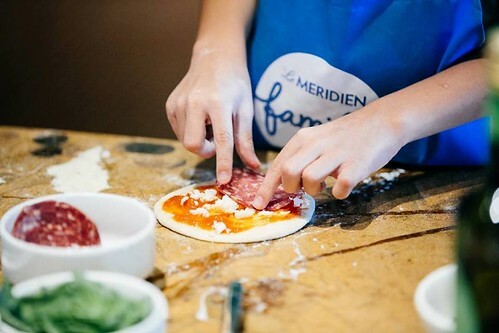 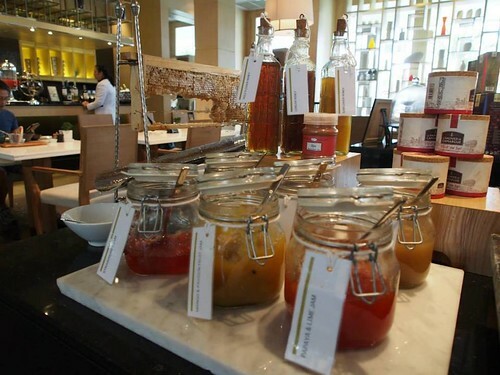 It also features modern Italian cuisine focusing on fresh ingredients, meats and products. 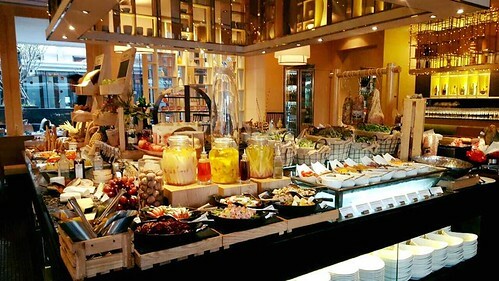 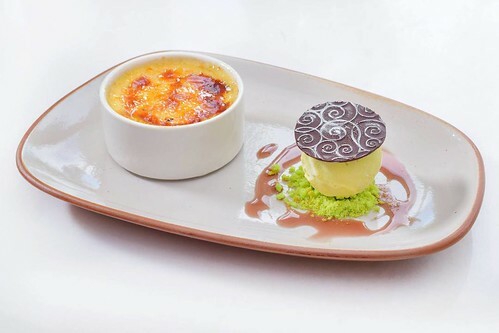 the showcase is on premium rustichella pastas, best quality steaks, fresh seafood and creative desserts. 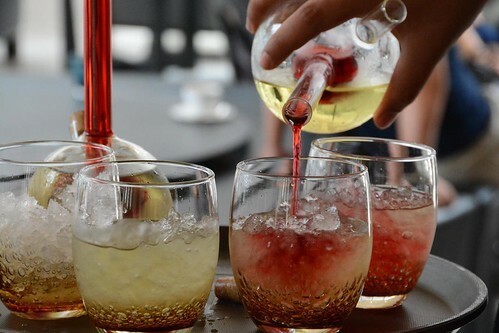 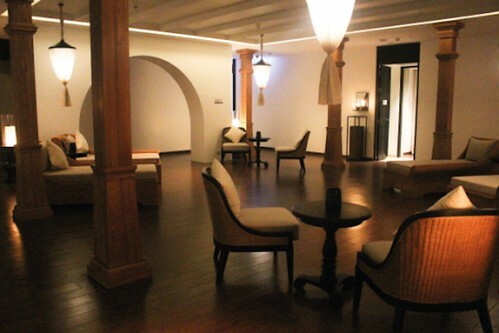 Latitude 13°39' bar is located near the lobby and is a chic lounge with an indoor and outdoor area. 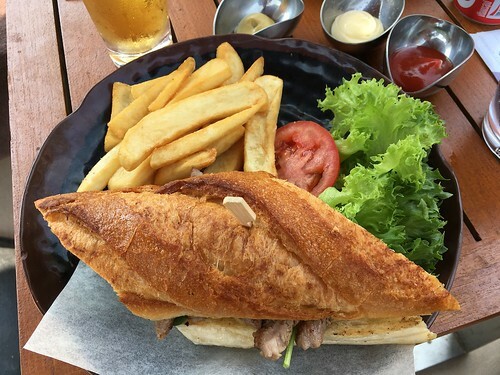 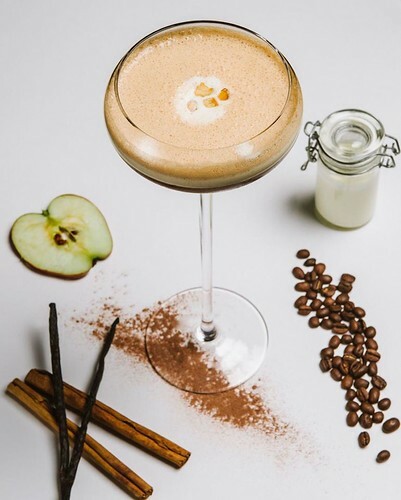 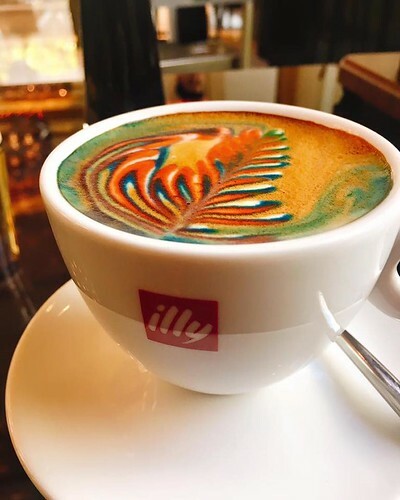 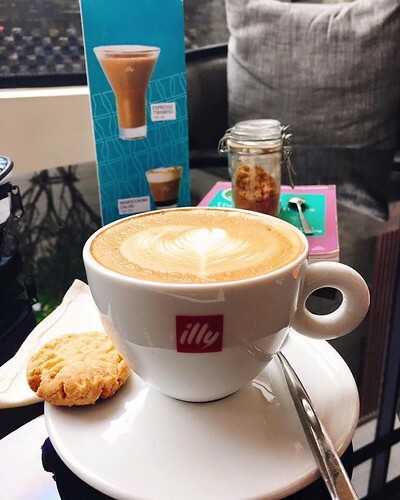 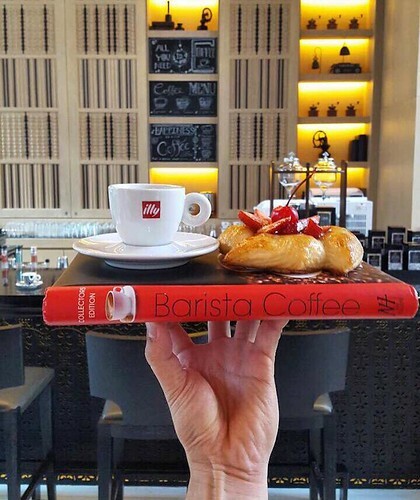 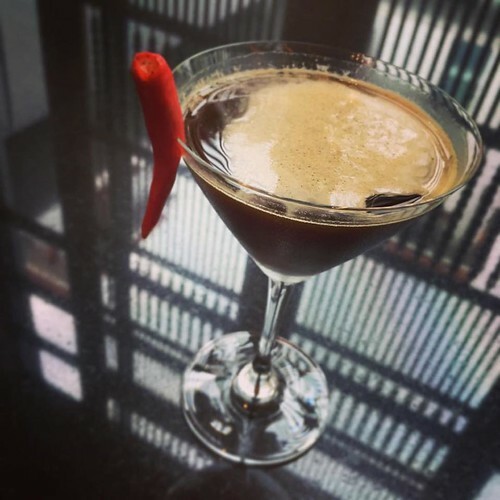 It's a relaxed and cosy place where you can enjoy all day long Illy coffee, freshly baked pastries but also cocktails, wines, liquors, spirits and other beverages with sandwiches and tapas . 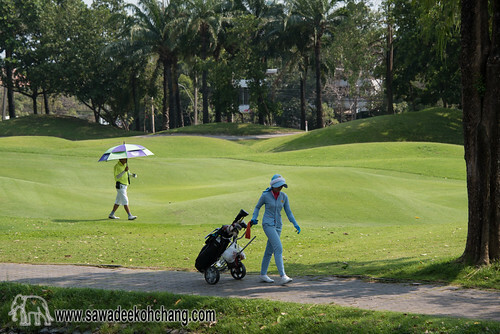 The iconic 18-hole Golf Course of 160 acres is surrounding the hotel. 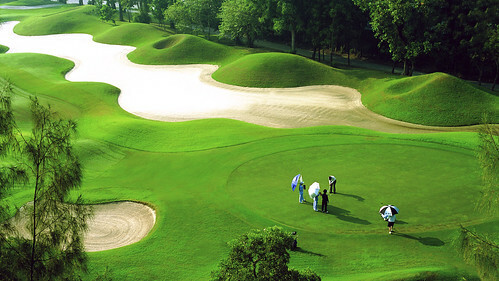 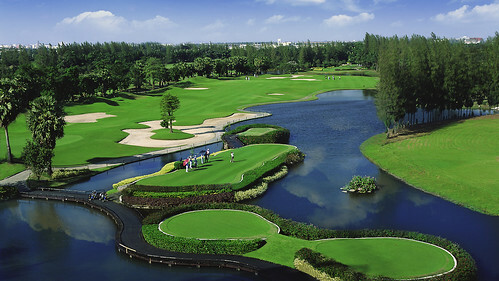 Manmade lakes, rolling hills, and landscaped gardens dot the par 72 course. 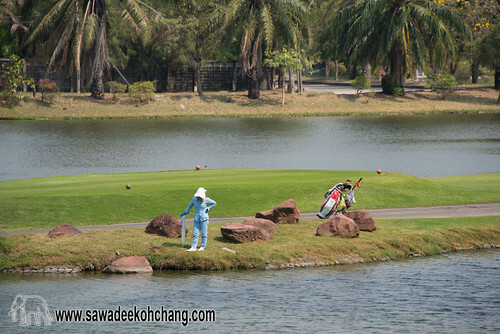 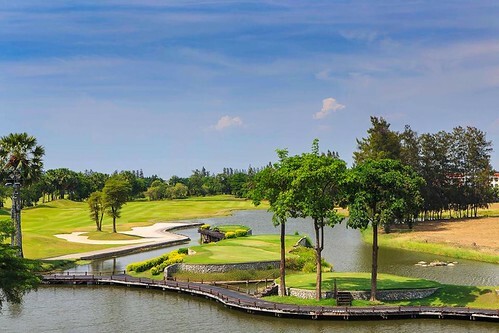 The course provides the player with a series of scenic lakes, overlapping hills and sand bunkers strategically placed throughout the fairways. 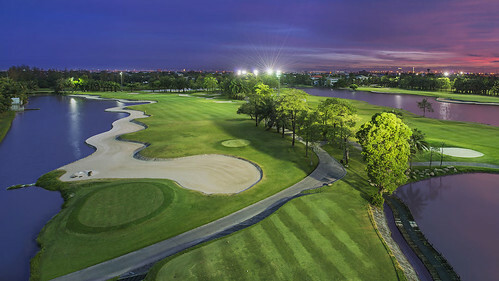 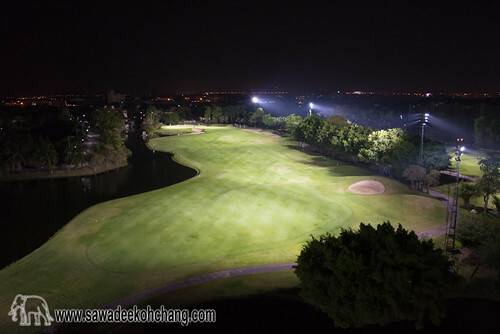 It provides a high-quality lighting installation to ensure clear visibility over the entire course for a special and magical night golf experience. 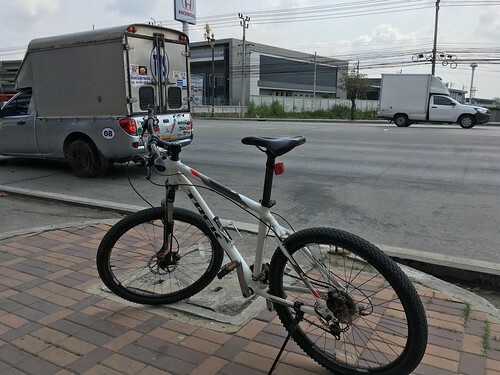 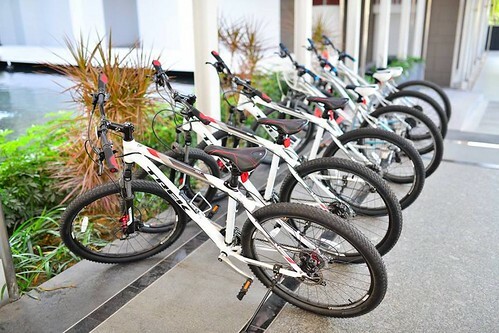 The hotel is proposing free Mountain Bikes to their guests. 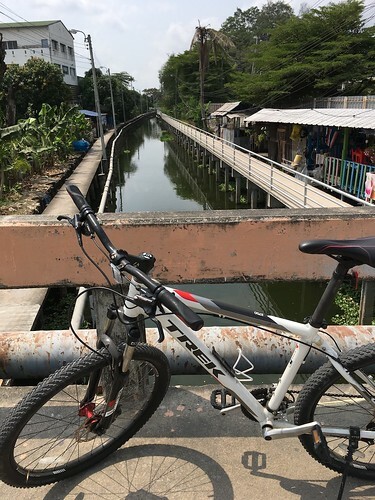 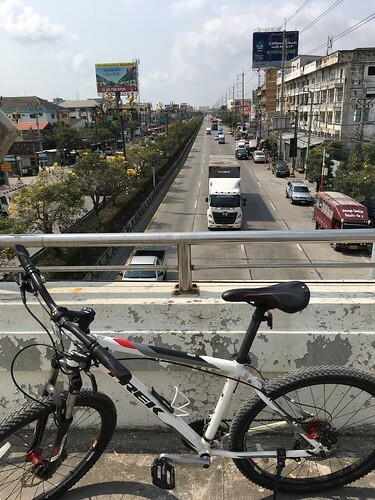 There isn't a lot to explore around but it's a very safe and quiet luxurious residential area, very peaceful to bike. 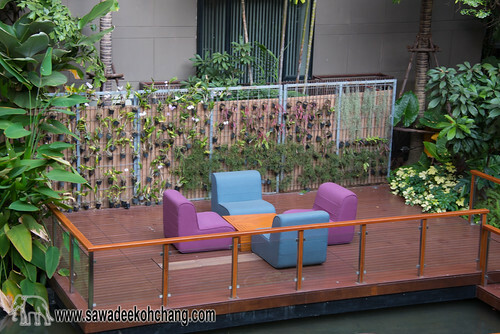 You can go up to Kingkeaw Road where you can also find small local food shops and stalls. 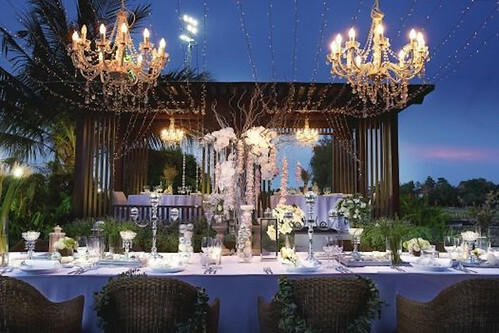 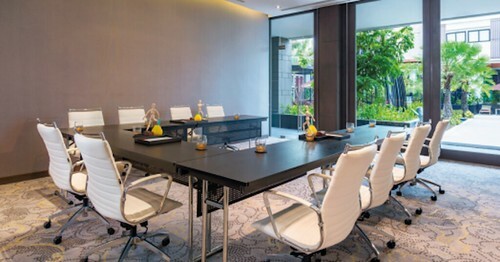 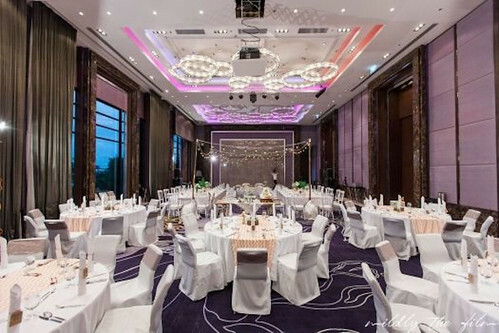 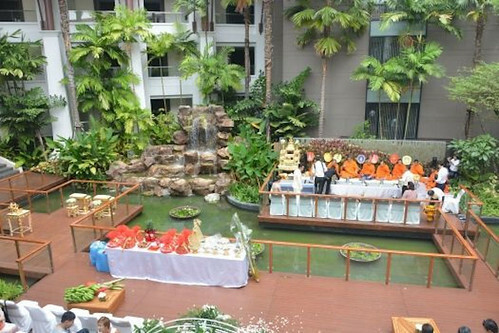 Le Méridien Suvarnabhumi, Bangkok Golf Resort & Spa has all the facilities to organise weddings, private parties, meetings and conferences. 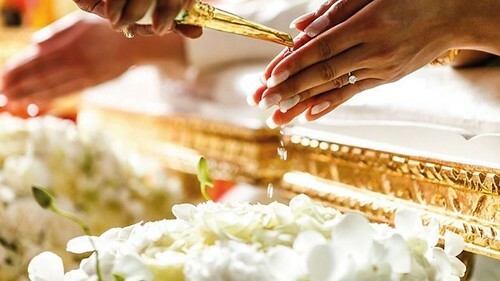 Just contact them in advance to plan everything. 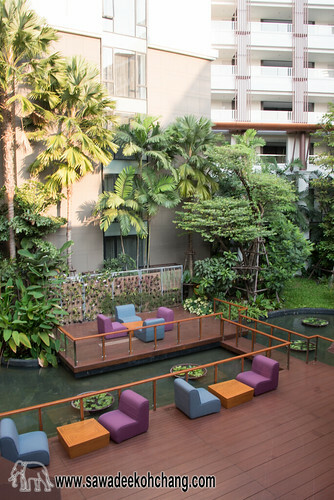 What I call the "Secret Garden" of this place is the small patio in the middle of the buildings. 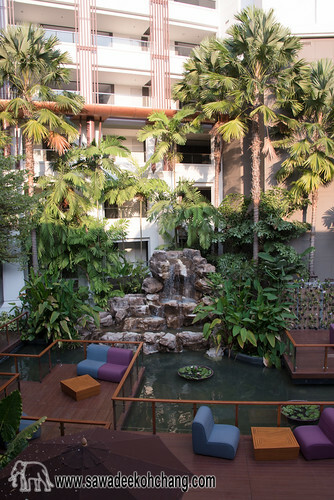 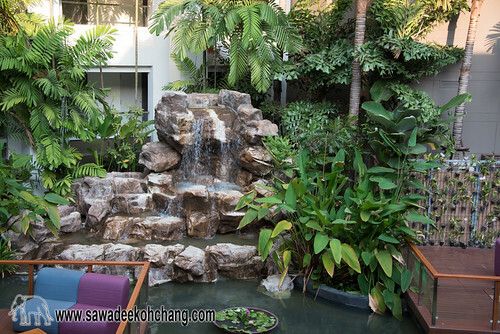 Waterfall, plants, palm trees and orchids make you to forget that you are close to a big international airport. 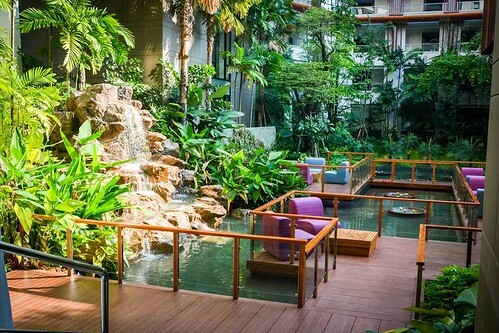 You can even listen the birds, it's a very relaxing area. 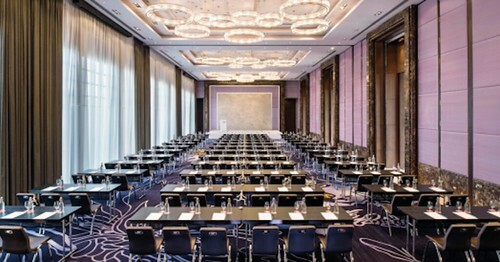 Personally I prefer and I recommend the Grande Club rooms, also called "SPG Member" or "Starwood Preferred Guest" rooms. 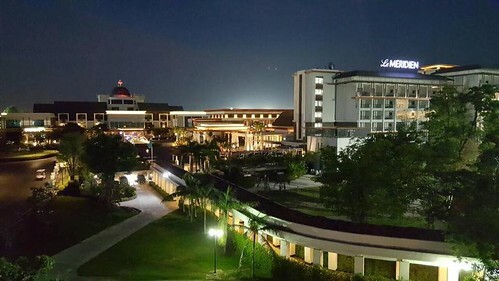 You can get good deals on booking websites and it includes the breakfast, higher and quieter floor, extra bathroom amenities, free Wi-Fi, free soft drinks at the bar during the day and free-unlimited alcoholic beverages and tapas in the evening, discount to the Spa and other extra benefits. 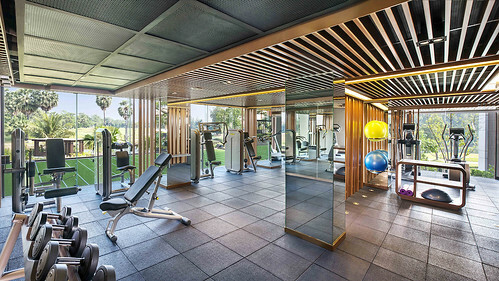 Registering is free, just give your member number when you will check in. 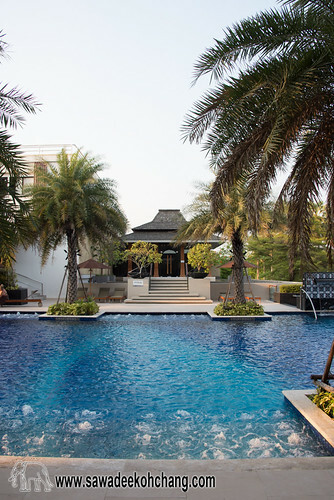 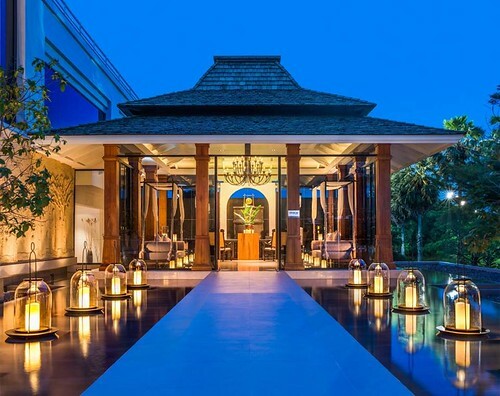 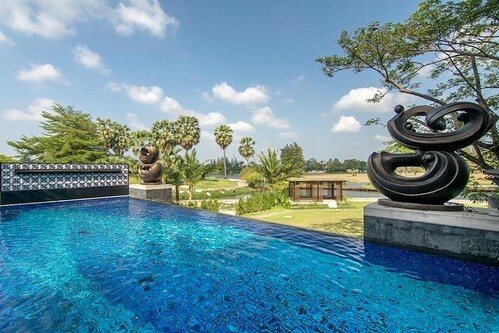 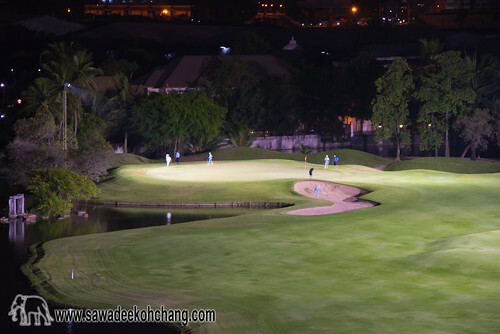 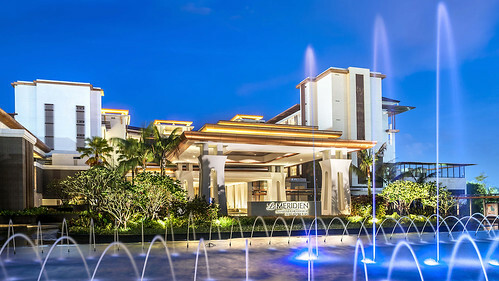 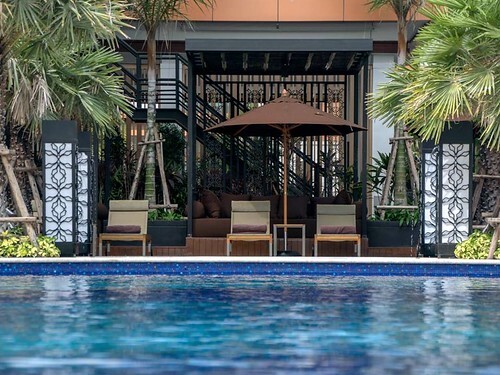 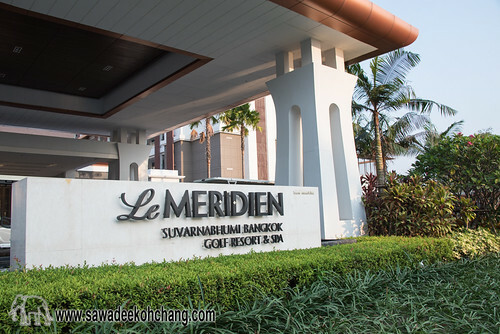 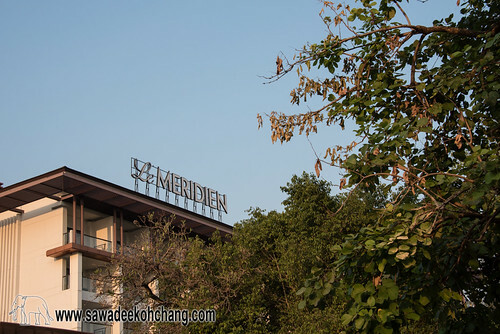 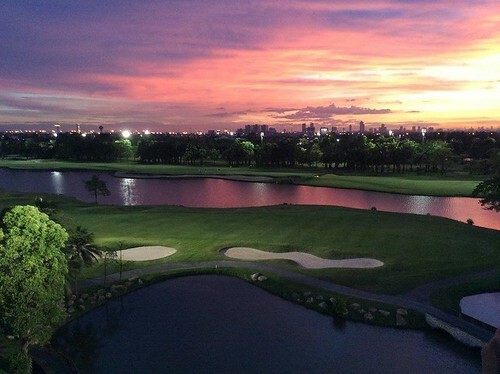 Availability and Prices at Le Méridien Suvarnabhumi, Bangkok Golf Resort & Spa!